Suffering you hair loss or unexpected hair falls to a great level and worrying a bit more about it? Consulting with hair care experts and getting the best hair fall treatment can be the right solution to come out of hair fall problem. Hair loss treatment for women is gaining momentum day after day as a hot topic to discuss. Despite popular belief that baldness is predominately a male problem, female hair loss is just as common expect to a lesser extent. Androgenetic alopecia among women is generally associated with hair thinning over the top and sides of the head. Female pattern hair loss can affect many as early as their teenage years, but after the risk increases manifold after menopause. 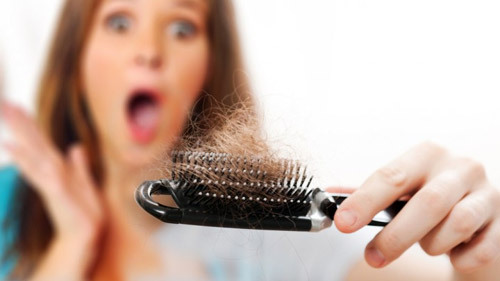 Women lose approximately 100 – 125 individual strands of hair per day, which is normal. These hairs are replaced within the normal hair growth cycle, so hair loss occurs when the lost hairs do not grow back or the daily hair fall exceeds 125 strands. The gene for hair loss can be passed down from both sides of the family. In order to get rid of this problem, looking for the best hair fall treatment is not a wrong decision to make. Emotional Stress: death in family, mental disorder, etc. Medications: excessive doses of vitamin A, hypertension medications, etc. Healthy hair growth can be achieved by reversing the above causes. Any life threatening stress can lead to hair loss since the body goes into a temporary “red alert” and slows down any processes that are not essential to living, like hair growth. The body reallocates its energy to repair any damage and to reestablish homeostasis. After the body slows down and or stops hair growth, hair loss is not noticeable until 3 months after a traumatic event. The same is for hair re-growth too. Thus the whole process would take over 6 months, if you approach the problem as soon as it presents itself. Other health conditions may contribute to hair loss like, anemia, low blood count, and thyroid abnormalities. Due to the lack of healthy diets among average men, most of them are advised by their doctors to take dietary supplements to help them get their daily nutrients. Although taking dietary supplements do help you get your daily nutrients, dermatologists agree that these supplements are high in vitamin A. The high content can accelerate and magnify hair loss patterns. Using a certain types of hair oil is good decision – mainly to make your hair loss treatment for women more effective and much improved. Using such oils and hair conditioners will be added advantage in the best hair fall treatment.